These opalescent sequins shimmer and shine like crystals in an underground cave, and the plushy pillow material makes it perfect for support and snuggles. 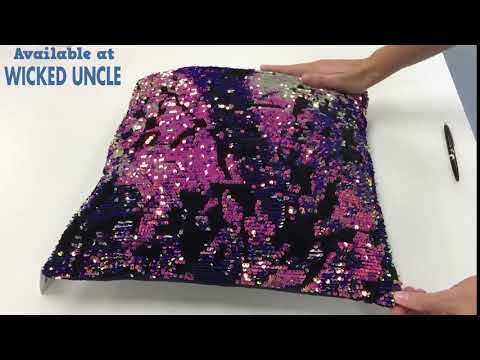 Upgrade the shine out of any room with this pink, purple, teal and black magical throw pillow. It stands out on its own but it can also be the start of a sequined pillow COLLECTION, so your room can glitter under your ceiling lights. Trace patterns through the sequins, or simply run your hands along them to while away the idle hours, daydreaming in dazzling iridescent about which of your friends will be MORE jealous when they see you sensational new space.